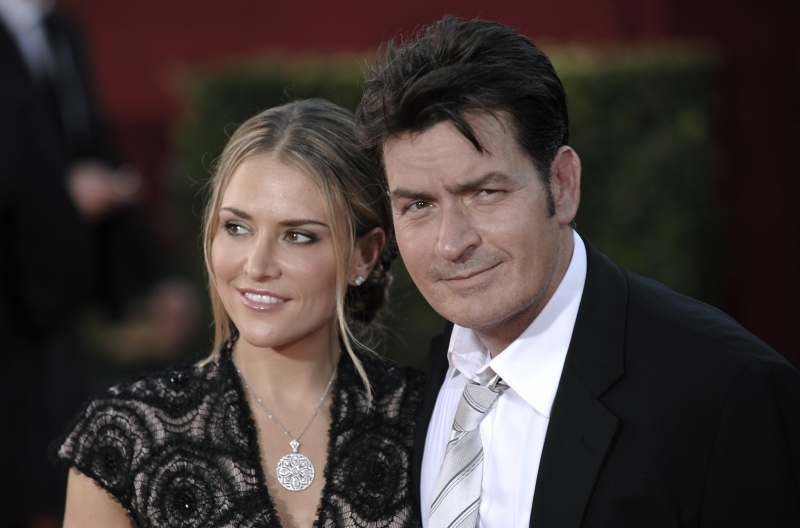 Looks like Charlie Sheen's wife Brooke Mueller is just as over this Charlie vs. Brooke saga as we are, because she's reportedly going to file for divorce from the 'Two and a Half Men' star. Despite the fact that both their reps said they're going to work on their marriage after rehab, according to Radaronline, Brooke wants a divorce after his court case for domestic violence is over. Brooke left rehab and is continuing her therapy at home while Charlie remains in an in-patient rehab program in LA. We all know Charlie has had his share of problems when it comes to booze and drugs, but Brooke is no angel either. She's been in and out of rehab five times for crack cocaine addiction, among other things.